Hugh Laurie at Hardly Strictly Bluegrass Festival- 01.10.2011. Hugh Laurie at Hardly Strictly Bluegrass Festival- 01.10.2011. HD Wallpaper and background images in the Hugh Laurie club tagged: hugh laurie actor 2011 appearence public concert blues album let them talk strictly bluegrass festival. 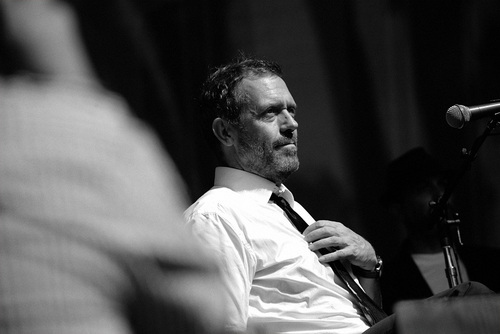 This Hugh Laurie photo contains tamasha. There might also be gitaa, gitaa mchezaji, mchezaji gitaa, drummer, and ngoma.